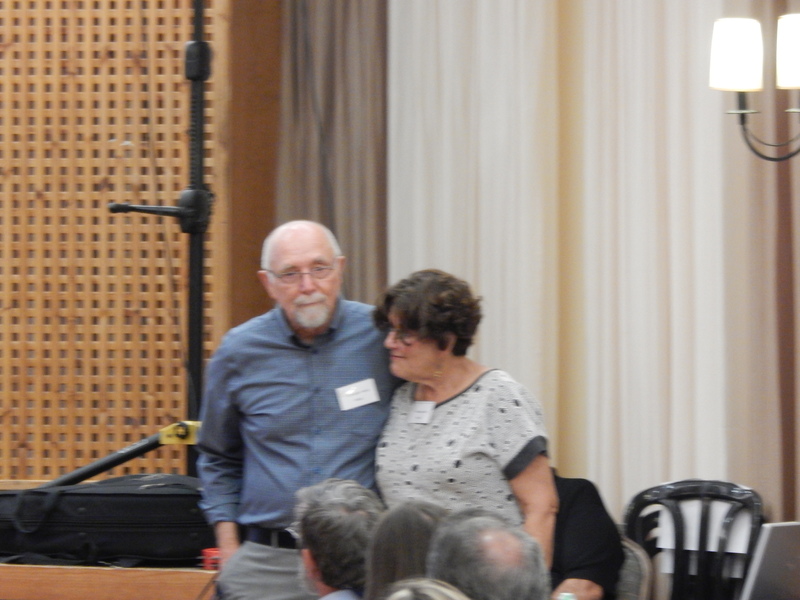 I just heard an awesome podcast interview of Ephraim and Rimona Frank, conducted by Tzefanyah ben Yochanan. As you may recall, Ephraim and Rimona were the primary organizers of the First B’ney Yosef National Congress. In this interview they share some of the ways the Spirit led them as they were getting ready for the Congress. They also share quite a bit about what happened during the Congress, what they witnessed, how the Spirit worked, etc. Like their testimony, I still pinch myself and wonder in amazement if what I experienced was real… but, every testimony I have heard coming out of the Congress testified to it having been a work of our King. We need to pray and ‘lean forward in the saddle’ as the Ruach (Spirit) leads us to build bridges and bring unity to the Body as He regathers and assembles the House of Yosef!! This entry was posted in B'Ney Yosef Congress and tagged Ephraim Judah, Ephraim Rimona Frank, Ezekiel 37, Two House, two sticks. Bookmark the permalink. Shalom, Pete! How can I download this file for sharing with others? Is it sourced some where else? These are momentous times and it is exciting to see how YHVH is bringing together those who desire to follow Him according to His instruction! Blessings, Brother! Blessings!! Yes, VERY exciting times! I am not sure how to download onto my laptop… Just played with it on my blog and on soundcloud.com… but didn’t see/couldn’t find the option. I think can download onto my phone, and then export it as a file to my desktop… complicated. Sure there is an easier way, but I am technologically impaired… LOL!